Not all second mortgages will be eligible for removal. To be in a position to eliminate or remove a second mortgage the home owner will need two conditions to apply. The first condition is that the second mortgage needs to be unsecured. As explained in Part I of this guide, this means that the value of the house must be equal or less than the value of what is owed on the first mortgage. 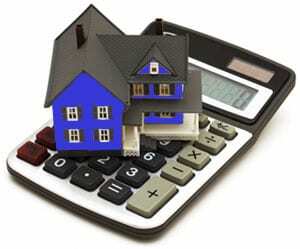 The second condition is that the second mortgage must be in default or behind in payment. This condition is not required in all options to remove the lien. In some instances when a homeowner is struggling to afford the payments on his/her home, the natural inclination is to discontinue paying the larger payment which usually is the first mortgage and continue paying the smaller payment which usually is the second mortgage. This inclination stems from a belief that isolating the financial problem to one large bill is better than defaulting on several smaller bills to make up the cash-flow deficit. To have a shot at eliminating the second mortgage the homeowner has to overcome this inclination. In most cases, when a homeowner defaults on a second mortgage the lender has few options and will generally do nothing. They generally will not foreclosure because the foreclosure costs will have to be paid by them and the second mortgage will not receive any proceeds from the mortgage sale because the property is under water. Therefore, foreclosure is not a viable options to recover their money. In a very few instances, the second mortgage company may have the right to go directly to a lawsuit in order to pursue a garnishment or levy, however, as you will read in Part III this can be halted as part of the lien stripping. TO TALK TO A LAWYER ABOUT YOUR MORTGAGE CALL 1-800-662-8813 OR CLICK HERE.